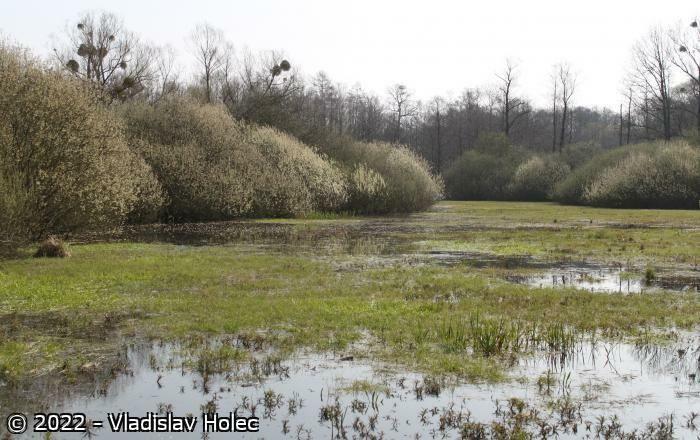 Riverine wetland, from 0.2 to 4.2 km wide, in the River Morava floodplain between the municipalities of Olomouc – Litovel – Mohelnice (central Moravia). It is a regularly flooded area of a natural stretch of the River Morava, which here preserves its natural activity and creates an inland delta within a complex of floodplain forests. The site is predominantly a riverine wetland with numerous permanent or periodically temporary pools, oxbows and river arms with adjacent wetland, fen and wet meadow communities, and floodplain forests with many smaller and bigger water bodies, sand pits, fishponds, and dead river arms. The area is two thirds surrounded by dams in order to protect the surrounding farmland from flooding. The water regime of the site depends on the amount of water in the River Morava, as well as on the regime of floods. The water regime then influences the succession dynamics of plant and animal communities. The forest ecosystems have a natural composition of tree species, common is a rich shrub understored with typical seasonal aspects of herbaceous plant communities. The forests grow on mainly nutrient-rich semi-gley soils with favourable humification; on fens – fenpeaty soils. There are various biotopes typical of riverine wetlands mostly depend on the water regime. Considerable are occasional pools with many invertebrates which connect with their cycles - some of them on the northwest edge of their range of occurrence. There are only partial changes in the banks of the naturally meandering river. The forest communities have a natural composition of woodland species, which usually include a rich shrub layer and the typical seasonal aspects of plant communities. Prevailing associations include Ficario-Ulmetum campestris, Fraxino-Populetum, Pado-Alnetum. Originally rich wet meadow communities only partly remain, and were replaced by semicultural and cultural meadows. 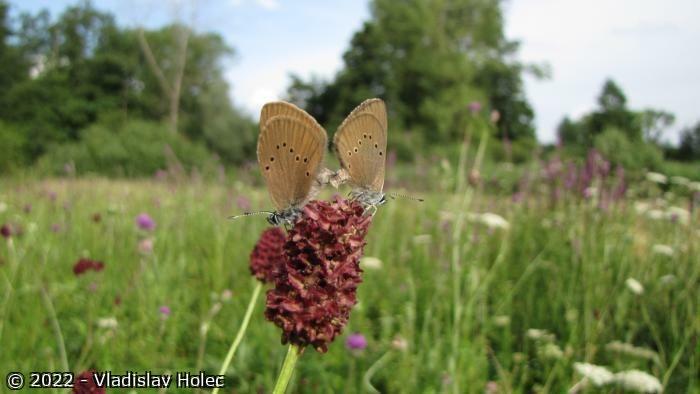 The following alliances indicate meadows and wetland communities: Phragmition communis, Phalaridion arundinaceae, Caricion gracilis, C. fuscae, Molinion, Alopecurion pratensis, Arrhenatherion (many of these are partly transformed into semicultural meadows). The bank vegetation and communities of flowing water are not sufficiently known. Standing waters are host to communities of the alliances Lemnion minoris and rarely Nymphaeion and Eu-Potamion. The whole site is situated in the Protected Landscape are called "Litovelské Pomoraví"; the most valuable parts are protected as national nature reserves or as nature reserves. The Protected Landscape Area covers 5097 ha. Main changes are related with the change of land tenure. 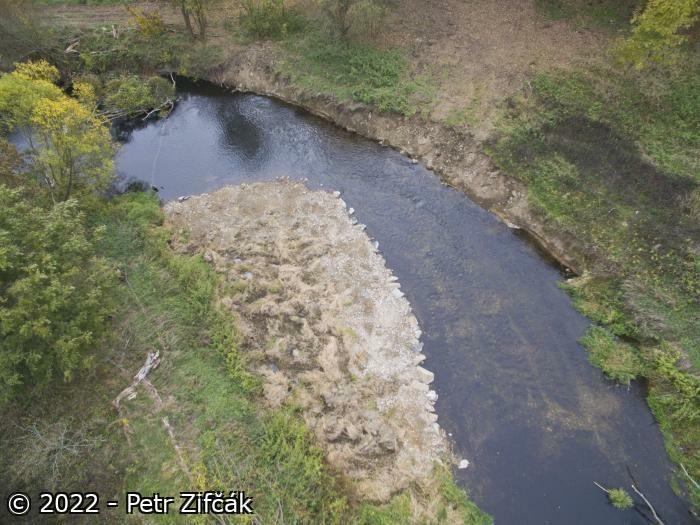 Impact of pollution arising from both chemical and mechanical processes, at the river Morava, not only within the area but mainly upstream and on tributaries. Decrease of minimal discharge influences the habitats connected with a watercourse. There are negative microclimatic changes in the forest communities due to the unsuitable form of forestry, including changes for the intensive breeding of pheasants. The ground water level has dropped due to the drinking water being exploited. The discussed construction of the "Dunaj-Odra-Labe" canal (connecting the Danube, the Odra and the Elbe) would severely endanger the ecosystems. Further negative changes are not envisaged. The average annual rainfall is 578mm. The evapotranspiration of the floodplain forest is 673 mm. The water deficit of the area is balanced by regular spring floods (exceptionally in other times of year) and by replenishment from ground water reserves during the rest of the year. The Quaternary sediments hold plentiful reserves of drinking water. The average flow of the Morava River in Olomouc is 15m3/s. 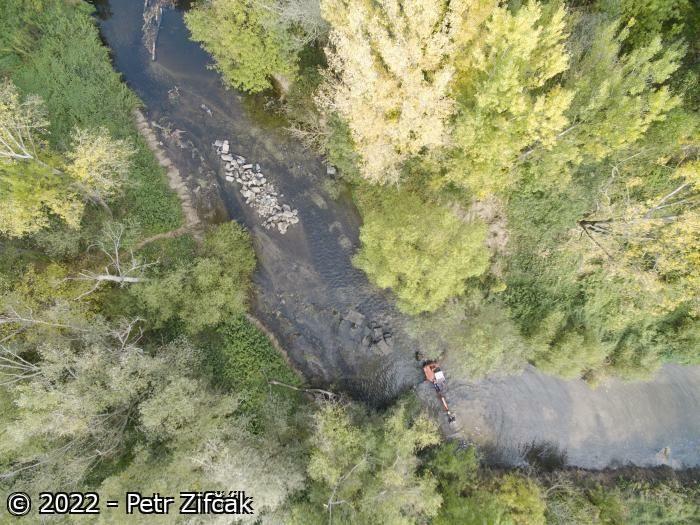 The area has 240km of active water-courses (occupying 250 ha), 100 km of periodically flushed back-waters (till mid-May), flooded forest (3,500 ha), about 2,000 pools (of which 200 are permanent), springs (karst and alluvial gravel outflows, 300 ha of stagnant waters, in total about 4,125 ha of wetland biotopes. The area considerably increases the humidity of the surrounding drained land, decreases dust pollution and wind erosion. Conspicuous phenomena include sedimentation in pools both in the river bed and in the inundation area, formation of bar gravels and of slip-off slopes. The area is used for intensive agriculture and forestry. Numerous sights are part of cultural heritage (Lichtenštejn estate, the town of Litovel on six backwaters of the Morava River, village architecture, water works). Prevailing associations of mature floodplain forests (with mainly natural tree composition) include: Querco-Ulmetum, Pado-Alnetum, Salici-Populetum. Originally rich wet meadow communities have remained only in places, many of them having been replaced by semi-cultivated meadows. The following alliances indicate wetland and meadow communities: Alopecurion pratensis, Arrhenatherion, Caricion fuscae, C. gracilis, Molinion coerulae, Phalaridion arundinacea, Phragmition communis. The vegetation of river banks and running waters is not well known. In standing waters the following alliances are found: Lemnion minoris, and less often Nymphaeion and Potamion. The most important plant species include: Carex bohemica, C. buekii, C. cespitosa, C. umbrosa, Ceratophyllum submersum, Epipactis albensis, Hippochaete varigeata, Iris sibirica, Lathyrus pratensis, Menyanthes trifoliata, Ranunculus lingua, Sparganium minimum, Trollius altissimus, Utricularia vulgaris, Viola stagnina. Among invertebrates, the area supports typical spring crustacean species: Lynceus brachyurus, Lepidurus apus, Siphonophanes grubii, and endemic crustacean species Parastenocaris moravica, and probably also an endemic association of crustaceans (under study). Molluscs: Anisus vorticulus, Gyraulus rossmaessleri, Pisidium pseudosphaerium. 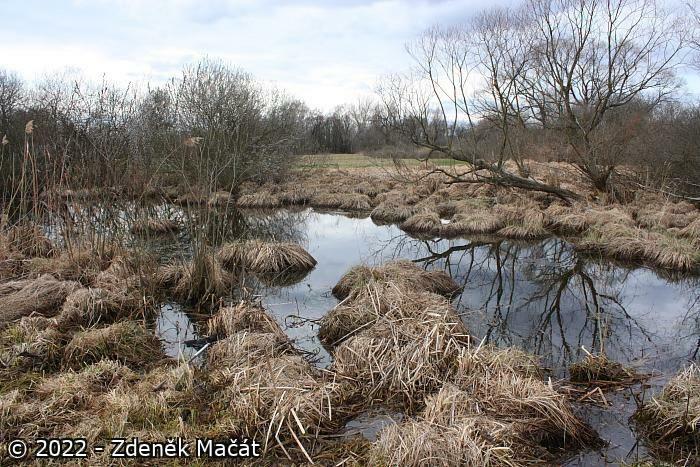 Typical bird communities of mature floodplain forests: breeding Ixobrychus minutus, Rallus aquaticus, Alcedo atthis, Riparia riparia, Remiz pendulinus; on gravel sediments of the River Morava: Charadrius dubius and Actitis hypoleucos; most likely, also Porzana porzana. Mammals: Lutra lutra (occasional appearance). Successful reintroduction of European Beaver Castor fiber. In the River Morava there are found 28 species of fish. Practised activities include: hiking along marked trails, canoeing down the Morava River, angling, water sports in sand pits (yachting etc.). The area is used mainly by inhabitants of surrounding communities including the centre of the region, Olomouc. The naturally meandering Morava river, with all manifestations of recent activity, forms a unique inland delta in a complex of floodplain forests with meadow enclaves. The inundation area includes numerous permanent and periodic water bodies and wetlands (mainly fens). The area has great diversity of landscape elements, which is a pre-requisite for the occurrence of numerous rare species and communities of plants and animals. The area meets Criteria 1, 3.